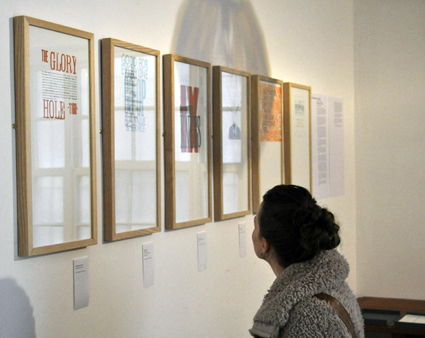 A collaborative letterpress project – instigated by Rose Gridneff and Andrew Haslam of Brighton University. Work was on show at the 'Her House Gallery', London. In addition at the Letterpress: Something to say event at St Bride Library, London on the 9 November, organisers Andrew Haslam, Rose Gridneff and Alex Cooper presented papers about the project. For further reading see article by Catherine Dixon.